Who can look at that and honestly say they don't like brussels? For a vegetarian version, omit bacon. 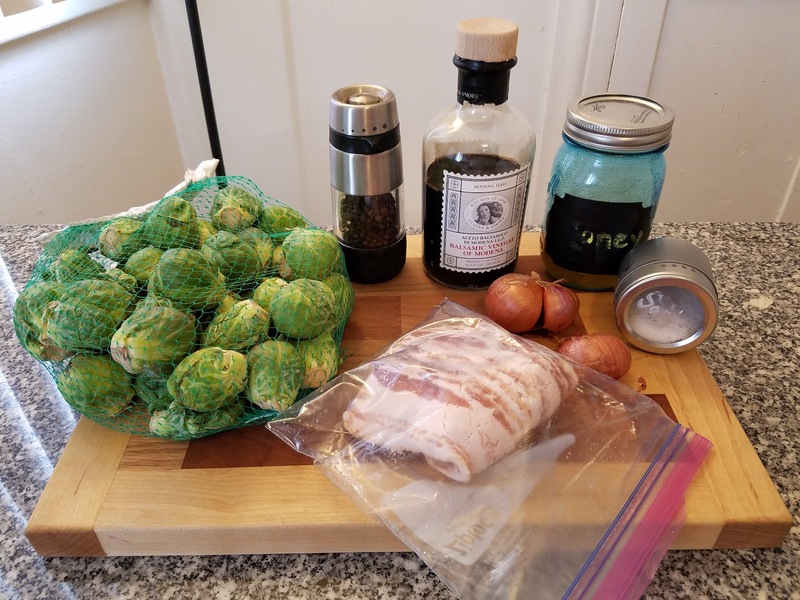 Growing up, brussels sprouts were one of my most hated vegetables. They were mushy and always seemed to smell really funky; you just couldn't pay me to eat them. However, in the past few years, I've fallen in love with well prepared brussels. At home, I'd always done it in a super hot oven and then added some sort of vinegary-sticky dressing. 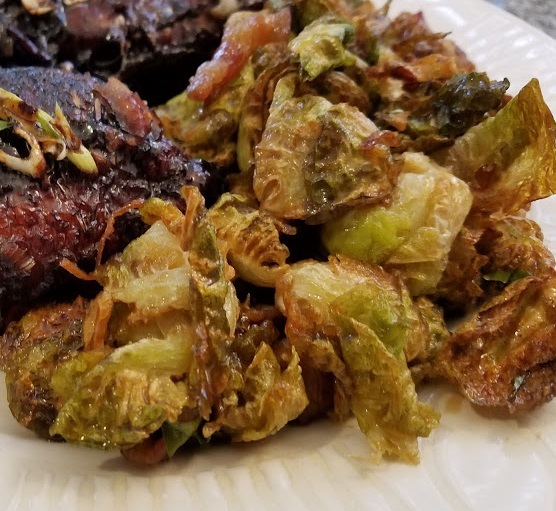 The super hot oven is key because you want a deep caramelization on the brussels. 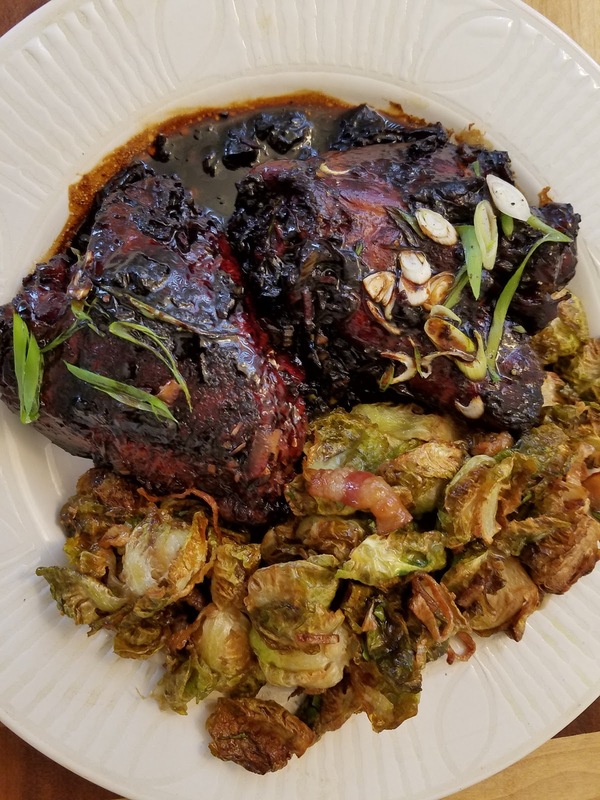 This recipe is exactly that, but better. I almost didn't want to post this because it is just so easy--deep fry everything and add the dressing. 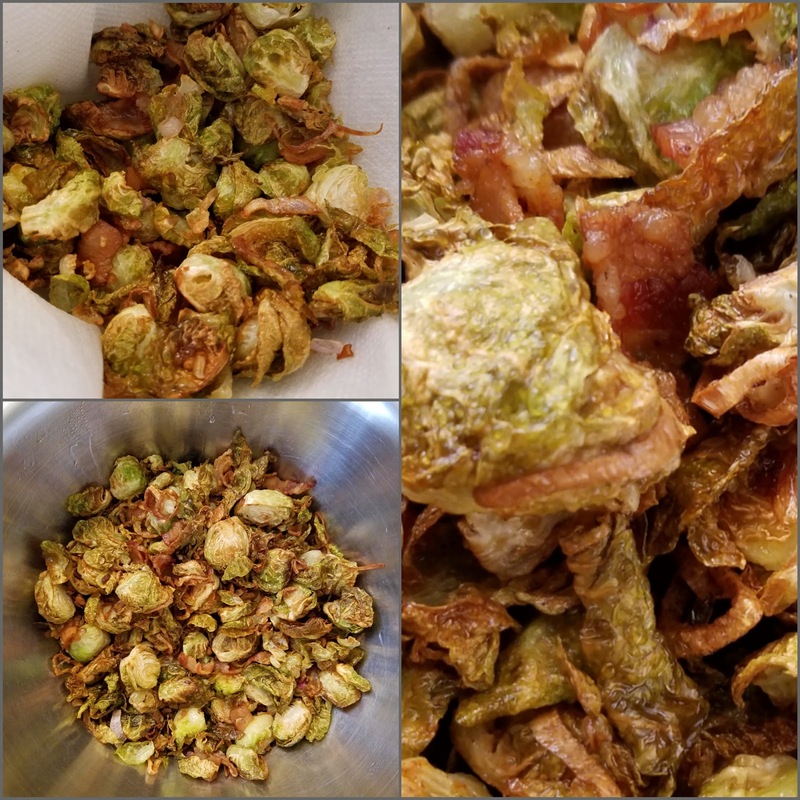 But, I decided I had to because something magical happens to these brussels when they are deep fried. This is almost exactly the Deep Fried Brussels Recipe from Serious Eats, just with some bacon added because bacon makes everything better. You could easily make this vegetarian by just omitting the bacon . . . but who would ever do that? 1. 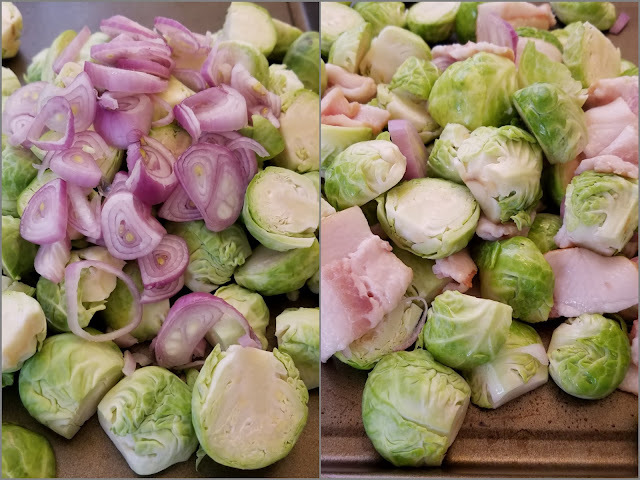 Start off by cutting the stems off the brussels, peeling off the tougher outer leaves, and then cutting them in half. Peel and thinly slice your shallots. Slice your bacon into small strips (good kitchen scissors are great for this). 2. Heat your oil to 400 degrees. Unless you have a gigantic pot and an unlimited supply of oil, you will need to do this in batches. I used a pan with about 2 inches of oil in it, and did it in 3 batches. Add the brussels, bacon, and shallots to your oil and fry until crisp and crunchy, about 4 minutes per batch. Stir occasionally and monitor the heat so they don't over brown. 3. Meanwhile, mix your balsamic with your honey and parsley. Season to taste with salt and pepper. I like to use a mason jar for this (pictures missing). Let this sit while the brussels finish browning. 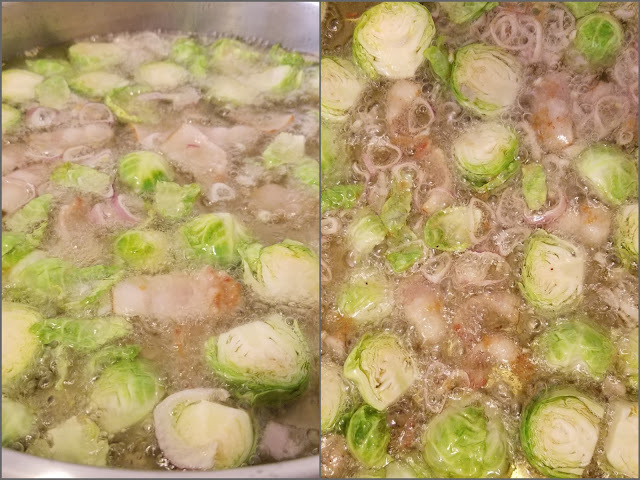 Once the brussels are nicely browned, drain them well. 4. Dress your brussels and serve them alongside your favorite protein. Or, just make an extra large batch and make this your complete dinner. Come to think of it, they might be really good with a poached egg on top.